The reason there are two sets of mounting screws is to ensure that Titan is compatible with the widest possible range of through-hole mounting situations. There are further notes on spacings in the Assembly section. If you are taking a functional printer out of service to install Titan, make sure you read all the docs first. 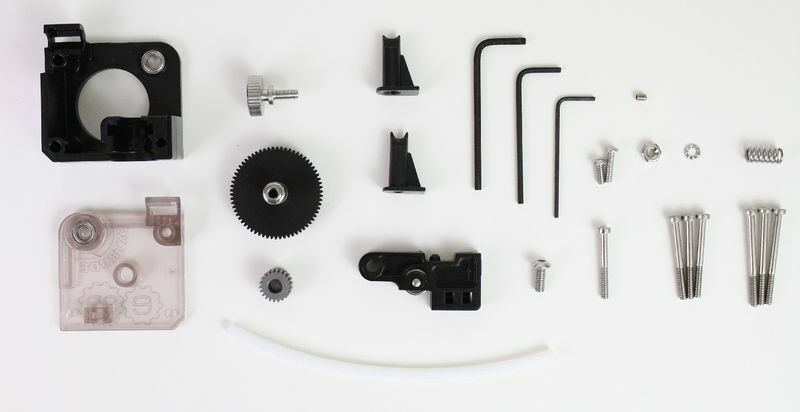 You may need to print a mounting bracket or spacer for your printer. Herewith the assembly steps for Titan. Titan is easy to assemble, but there are a few little tricks, so make sure you read it all! 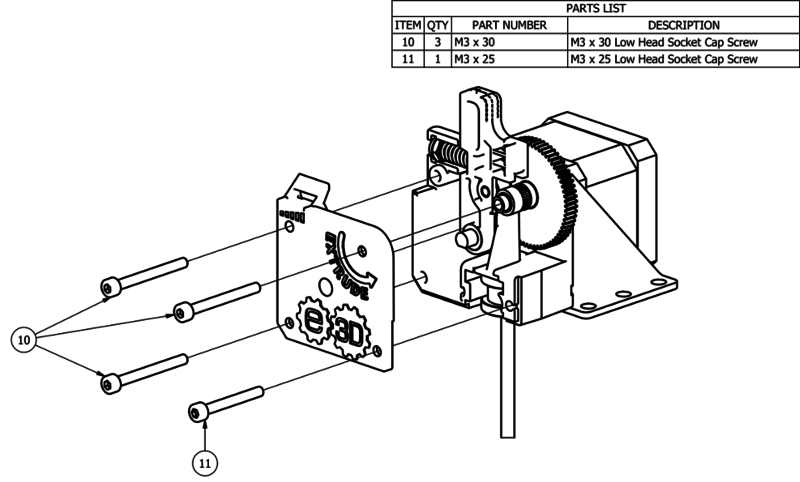 A spacer, or a mounting bracket sandwiched between the extruder body and the motor face, is always required. The spacer or bracket must be at least 2mm thick. 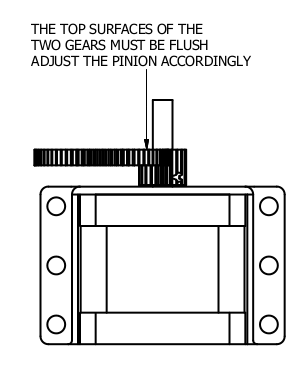 This ensures that the pinion gear clears the face of the motor. If your mounting circumstances requires more than 2mm then you may need to use the longer mounting screws. 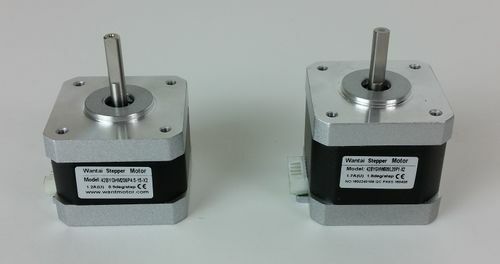 Note that the motor offered on the extruder product page does not support spacing of more than 3mm since the shaft is not long enough to fully support the idler. 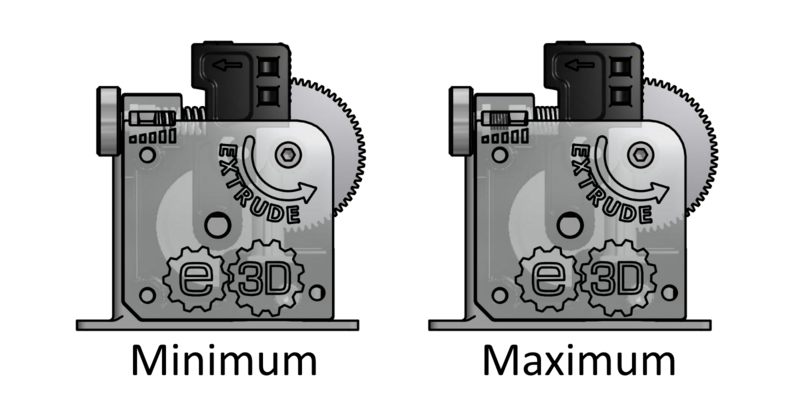 If you run into problems with the screws being too long, we have put a customisable spacer on Thingiverse for you. Here is a list of through-hole mounting thicknesses and associated screw lengths & spacer thicknesses you will need. The STL of the E3D Titan Bracket sold in our store can be found on Thingiverse. Drawings and SCAD to follow soon. 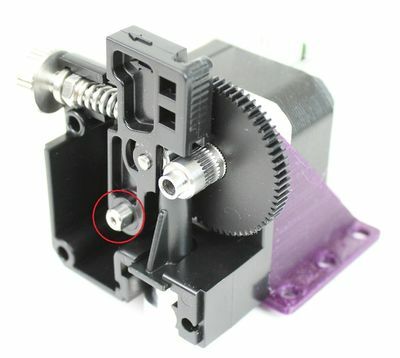 Use M3 x 8 or M3 x 12 screw to hold the extruder body to the motor face, with the mounting bracket or spacer between them. The new motor has 400 steps/rev, giving higher resolution than the older one with 200 steps/rev. This must be taken into account when setting the firmware. The shaft on the newer model is slightly longer to allow for the use of thicker mounting brackets. 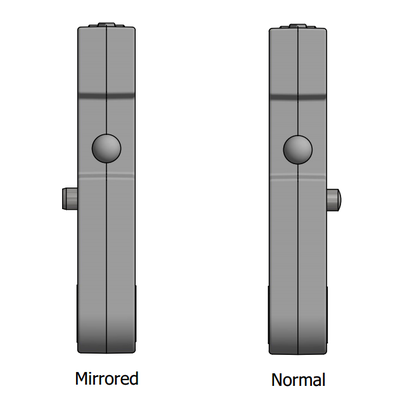 In addition to the shaft being longer on the new model, the shaft flat does not extend as close to the motor face plate as the old model. 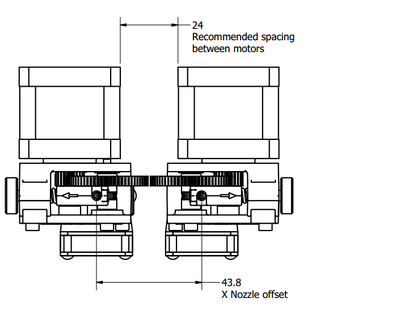 This means that for thinner mounting brackets it may not be possible to tighten the gear on to the flat section, don't worry, as the grub screw will still cope with enough torque to run the the extruder when tightened on to the round portion of the shaft. We are going to cut the PTFE to length so that it fully lines the filament path all the way from the top of the filament guide down into the heat-break. Screw the heatsink and heat-break together. Note: the little black bowden collet must not be installed. Insert the PTFE from the top, so that it is up against the heat-break. If the PTFE is too long, when you screw the heat-break in place it may crush the PTFE, constricting the filament path. If the PTFE is too short, there will be a gap between the top of the PTFE and the filament guide which may cause slight problems with loading. It is better that the PTFE is slightly too short. Place the black filament guide onto the PTFE and slide the whole assembly into the groove-mount hole in the extruder body. The HotEnd should be held firmly in place. There is no PTFE in the system for 3mm Direct. Simply place the heatsink into the groove-mount hole, followed by the white filament guide. 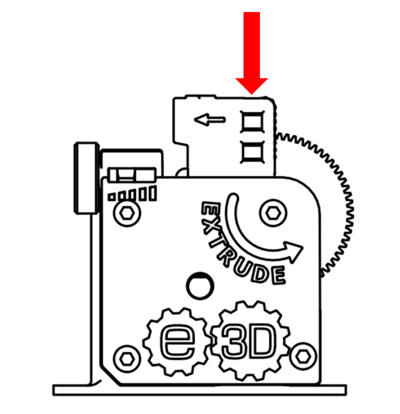 Ensure the top of the filament guide is flush with the extruder body. Slide the Bowden Adaptor into the groove-mount. It may feel a little loose. Slide the filament guide (black for 1.75mm, white for 3mm) into the groove-mount. The Bowden Adaptor should now be held firmly in place. 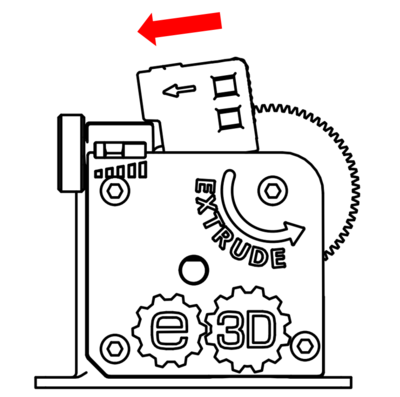 Ensure the top of the filament guide is flush with the extruder body. Insert the PTFE into the Bowden Adaptor until you feel it hit up hard against the filament guide. Note that in 1.75 - the PTFE will go all the way up into the guide, stopping short only a few mm before the drive gear. 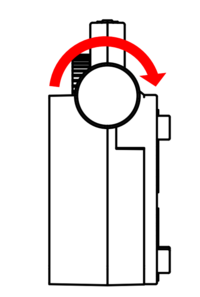 Pull the collet in the Embedded Bowden Coupling whilst pushing the PTFE into the coupling, this will ensure that the tube is locked in place and that there is minimal backlash in the system. Note: it is normal that the pin sticks out slightly on one side of the lever. Put the lid on the assembly and install the M3 x 30 (or M3 x 35) screws in the 2 left positions. 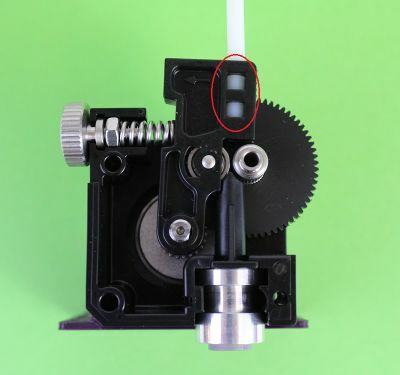 The top-right screw which goes through the filament drive shaft uses the same screw as before, however with this one, you must be careful not to over-tighten. Tighten only enough to hold the assembly together. If supplied, use the shake-proof washers under the head of the top-right screw to minimise risk of loosening during service. All the force applied to this screw is transmitted through the miniature bearings for the filament drive shaft. Over-tightening will cause unnecessary load on the motor and in extreme cases may result in the bearings failing prematurely. The remaining screw is the M3 x 25 in the bottom right position. 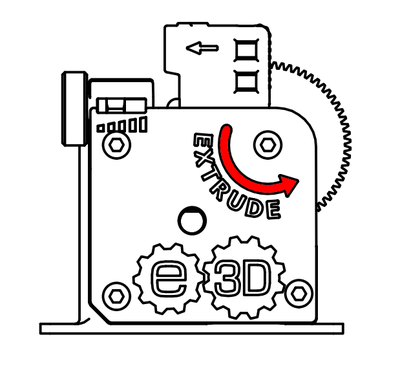 This screws into the brass insert in the back of the extruder body and holds the HotEnd in place. 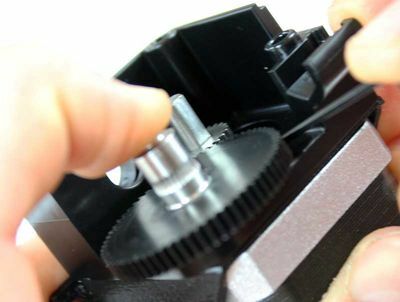 If the gear is hard to move, loosen off the corresponding M3 screw in the lid until it moves freely. 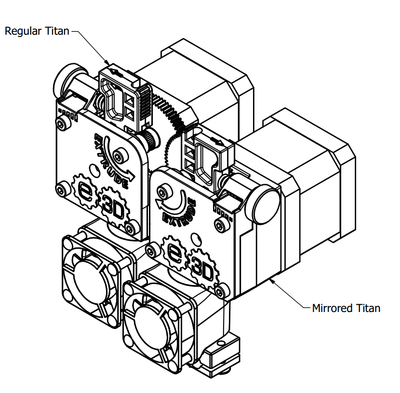 A mirrored version of Titan is to be launched in mid March 2017, which is functionally the same as the standard version, however the nozzle is offset on the opposite side to usual.The main intent of the mirrored Titan is to be used for dual extrusion, maximising build space when using a pair of direct extruders, such as in the configuration below. Simple method, where the 2 extruders are offset in X only, this will yield an extra 30mm of X build space compared to using 2 standard Titans. 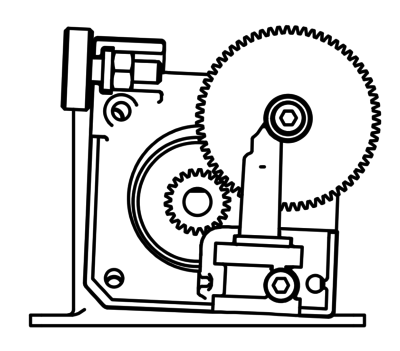 Maximum X Build Method, where the 2 extruders are offset in X and Y, allowing the gears to overlap. This will gain 47mm of X build space, however this is at the cost of 10mm of Y build space. 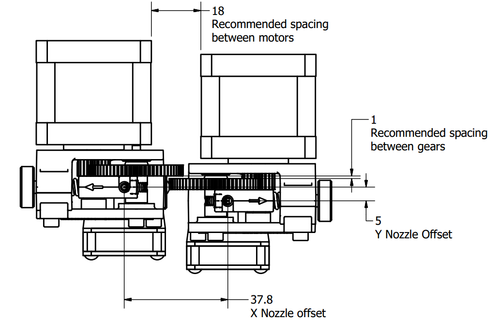 When deciding on mounting options, do also consider adjustability in the Z direction, the closer the 2 nozzles are in Z the better print quality will be. 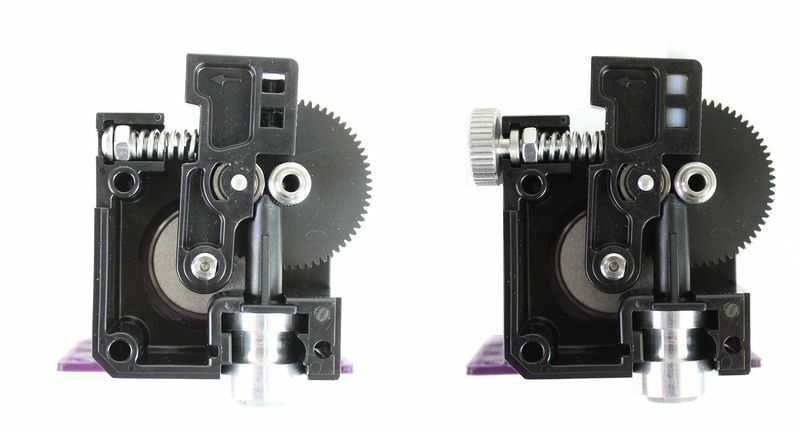 Idler Lever, the injection molded part is the same, however the pin that retains the idler bearing has been pressed from the other side to prevent interference with the large plastic gear. Because Titan uses a known gearing ratio and a consistently machined drive gear, we can offer a fairly accurate steps / mm set-point. To test your value, mark the filament 120mm from the extruder then extrude 100mm slowly. 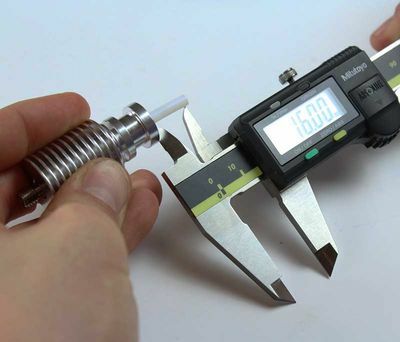 If you do not measure 20mm after extrusion has finished, you may need to tweak this value. 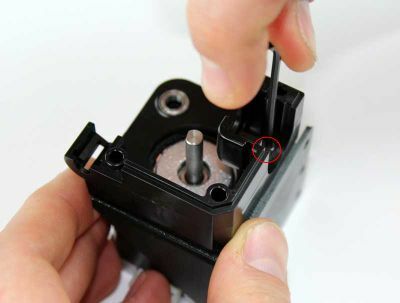 To remove the HotEnd, relieve tension in the idler then remove the front 4 screws and pull the HotEnd out forwards. The idlers are made from Delrin 500CL which is an acetal homopolymer with impregnated chemical lubricant. This resin is designed specifically for low wear and friction against metals. 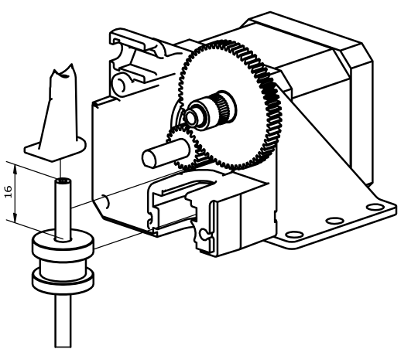 This idler runs plain against a ground steel motor shaft which is very smooth causing absolutely minimal wear. If you have a D-shaped shaft there is a small possibility that a bur is present on one of the edges - this could cause issues in the long-term and so if found should be removed. This is normally because the PTFE guide has not been inserted. Please refer to the relevant section of the documentation and ensure that this part is fitted. If you are still having trouble, please contact support.